THE player transfers window has re-opened ahead of the start of the 2019 EDFL season. From now until the start of the season, EDFL clubs may lodge incoming transfers for new players and clear outgoing players headed for new destinations. The first transfers window of the off-season took place back in November, where dozens of new recruits and key departures were revealed across many of the EDFL's 28 senior clubs. Also in case you missed it, the crew from the EDFL Tonight Podcast dissected the November Transfers Period back in December. Since November, some EDFL clubs have revealed more recruits via local media outlets, but we're still expecting plenty of surprises yet as we edge closer to Round 1 on the first weekend of April. Be sure to follow all the big transfers news with our rolling social media coverage below and keep up with each noteworthy transfer as they get lodged via our #EDFLtransfers hashtag on Twitter. 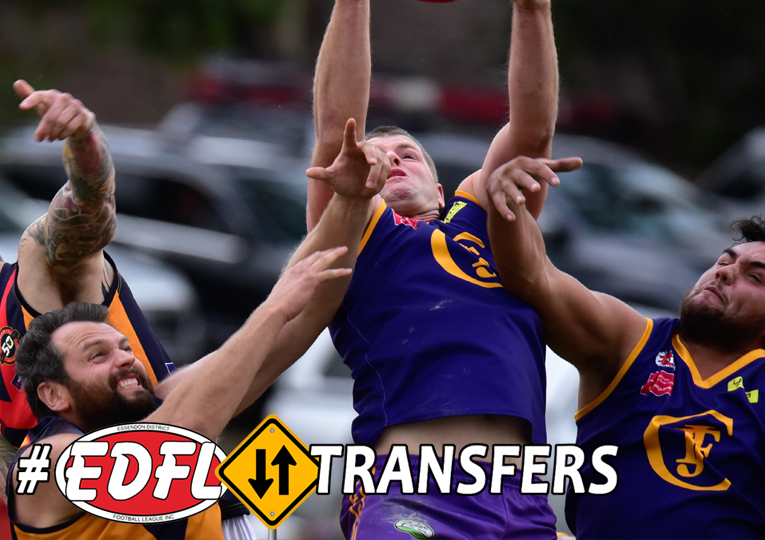 #EDFLtransfers - The outgoing transfer for Jacana's Jason Cloke has come through today. He'll be joining Broadbeach in the AFL Queensland competition. #EDFLTransfers - Greenvale's pursuit of Maribyrnong Park star Zac Keogh continues, with the Jets lodging their transfer request for the 2017 Reynolds Medallist last night. #EDFLtransfers - @GoHeights has acquired the services of Coburg VFL player and former Calder Cannon, Hisham Kerbatieh, according to lodged transfers this morning. 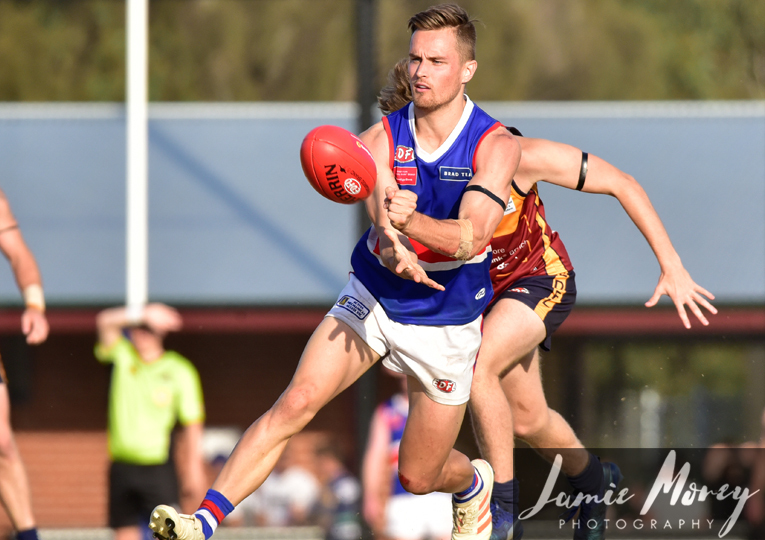 #EDFLTransfers - An outgoing transfer has been lodged this afternoon for 2017 Glenroy premiership defender Matthew Willox to join Learmonth in the Central Highlands league. He played all 18 games in the club's first year back up in Premier Division in 2018. Gatto both lodging transfers to return back to the Devils after spending 2018 with Tullamarine. #EDFLtransfers - A double-blow for Moonee Valley, with experienced pair Sean Gales & Matthew Brown looking to join VAFA club, Brunswick. Brown was third in the Fog's goal-kicking with 24 majors in 2018. #EDFLtransfers - After three seasons at Mascoma Street, the Hamish McIntosh era at Strathmore has come to an end. The ex-AFL ruckman is re-connecting with former Roos/Mores team-mate Michael Firrito at Gembrook Cockatoo in the AFL Outer East league. #EDFLtransfers - @MaribyrnongPark is looking to acquire Avondale Heights & North Melbourne VFL mid/forward, Koe Ngawati. He played nine Premier Division games with Heights and one VFL game with the Kangaroos in 2018. #EDFLtransfers - The outgoing transfer for Pascoe Vale star Gavin Urquhart to join Riddell was lodged last night. The former AFL Kangaroo has been one of the most consistent players in the EDFL since 2013 with both the Panthers and Airport West. #EDFLtransfers - After just one season with Keilor, forward Josh Martin is looking to move to VAFA club, Prahran Assumption. The experienced 29yo kicked 33 goals in his 17 appearances with the Blues. #EDFLtransfers - In what looms as a big blow for Taylors Lakes, Luke Hodgkin has filed a transfer to return home to Wodonga. He joined the Lions via Heidelberg in 2017 and proved to be one of the better movers of Division 1. #EDFLtransfers - West Coburg's loss is @GoHeights' gain, with classy forward Ruairi Cleary looking to stay in Strathmore Community Bank Premier Division and head for Canning Street. Cleary hasn't missed a single game in three seasons and has 72 goals to his name in that time. 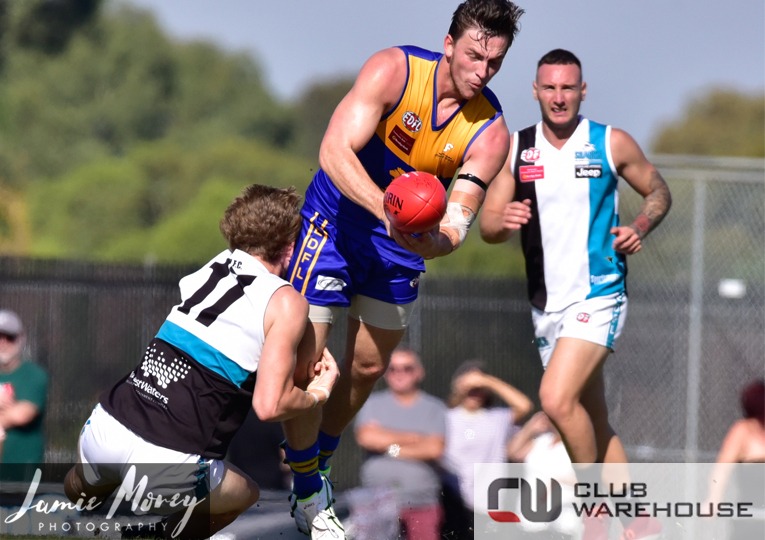 #EDFLtransfers - Strathmore's forward stocks have suffered a blow, with Premier Division Team of the Year forward Tom Condon looking to re-connect with coach Nathan Grima at SANFL club, Sturt. The 21yo bagged 40 goals for the Mores in 2018, including four in the prelim final. #EDFLtransfers - Maribyrnong Park/Williamstown gun Daylan Kempster appears to be on his way to the Sunbury Lions, his original junior club. The 23yo kicked 21 goals for the Lions in 2018 and also made four VFL appearances with the Seagulls. #EDFLtransfers - @EastKeilorFC has added another Premier Division calibre player to its list, lodging a transfer for Will Kett from Essendon Doutta Stars. The Cougars have now cleared a total of 28 senior-age incoming players so far this off-season. #EDFLtransfers - Maribyrnong Park's Nick Linton is the latest Lion set to be on the move, lodging a transfer for Nhill & District in the Wimmera league. The ex-Coburg VFL player played 19 senior games with Marby in 2017-18. #EDFLtransfers - @West_Coburg_FC's first incoming transfers of the summer have come through this evening, including new coach Dale May from Strathmore. The others are Matthew Button (Angaston), Jake Fotinos & Perry Patrikios (both Old Paradians). #EDFLtransfers - West Coburg's Sam Bouwman is set to return home to Tasmania, lodging a transfer for Evandale. His EDFL career included 29 senior appearances for both the Burgers and Pascoe Vale. He played all but one senior game in 2018. #EDFLtransfers - @RoxburghParkFC premiership player Ryan Kannegiesser is looking to move across to NFNL outfit, Mernda. A noted threat around goal, the 25-year-old kicked a crucial goal in last year's thrilling six-point grand final win over East Sunbury. #EDFLtransfers - Experienced Coburg pair Nick Mellington & Sean Gregory have both lodged transfers for @paccopanthers. Both have been VFL regulars for several years and will re-connect with former Coburg team-mate, Ben Allan at Raeburn Reserve. #EDFLtransfers - There has been some more movement down at @EastKeilorFC, with premiership duo Paris & CJ Grampsas both headed for @CoburgDistricts. Coming in is returning premiership player from 2014 & 2016, Luke McCormack & 2014 Strathmore premiership player, Nathan Lyons. #EDFLtransfers - @KeilorFC has added star key forward Todd Stevenson to its ranks. The 26yo spent four seasons in the WAFL system before claiming back-to-back B&Fs with Bell Park in the Geelong league in 2017-18. #EDFLtransfers - Albion twins Mark and Scott Polycarpou have both lodged transfers to join new coach Charles Cuzzupi at @TaylorsLakesFC. #EDFLtransfers - Pascoe Vale's undefeated EDFL Women's team from 2018 might have some holes to fill, with gun premiership trio Emma Westgarth (Therry Penola), Rebecca Foggie (Bundoora) & Aimee Whelan (VU Western Spurs) all lodging outgoing transfers. #EDFLtransfers - @EssendonDSFC will be without Lachie Mitchell in 2019, lodging a transfer to join Kambalda in the Goldfields league. Mitchell was a senior regular for the Stars in 2018 and also squeezed in three VFL appearances with Coburg as well. #EDFLtransfers - Omar Saad is the latest recruit to be revealed by @westy_tigers_fc, crossing from @West_Coburg_FC. The gun mid made the 2015 Strathmore Community Bank Premier Division Team of the Year. #EDFLtransfers - The rumour mill got one right, with @EastSunburyFC star Brad Bernacki on the move to Gisborne. The former Calder Cannons skipper shared his time between the Thunder and Coburg at VFL level in 2018. #EDFLtransfers - @GoHeights will enter Season 2019 without the services of big man Nathan Byrne at its disposal, with a pending transfer lodged for the 29yo to join Turvey Park in the Riverina league. #EDFLtransfers - @GlenroyFC has suffered a blow, with 2018 recruit Lachie Waite opting to re-join his former club, Seymour. The 20yo played 16 games in red and white and was listed among best players in six of those appearances. 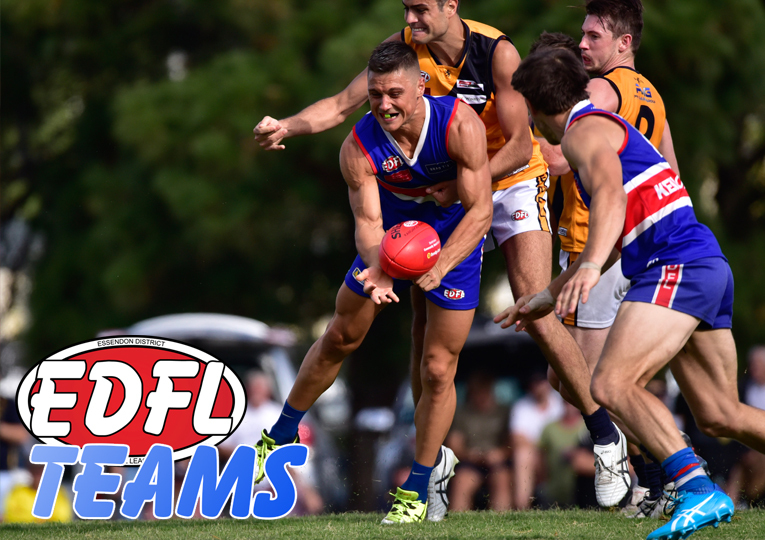 #EDFLtransfers - After only one season with the @TullaDemons, Angelos Sidhom is on the move to WRFL outfit, St Albans. He kicked eight goals in 17 games and was part of the Division 1 Grand Final loss to Airport West.